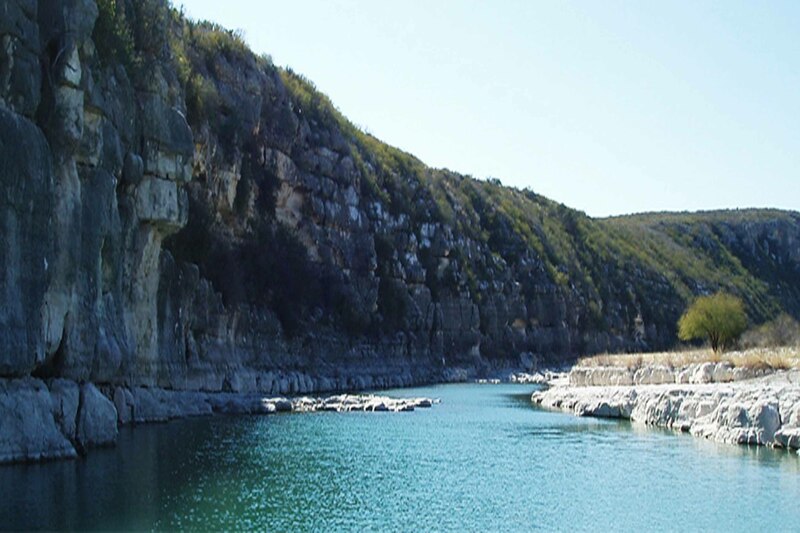 Lake Amistad National Recreation Area is located on the US portion of the International Amistad Reservoir. Amistad, whose name comes from the Spanish word meaning friendship is best known for excellent water-based recreation, camping, hiking, rock art viewing and its rich cultural history. Amistad is also home to a wide variety of plant and animal life above and below the water. Lake Amistad is located near Del Rio, Texas. ESPN has rated Lake Amistad the number 1 bass fishing lake in the world. Whispering Palms Inn Hotel has a professional bass fishing guide. Contact us today to book a room at our Lake Amistad hotel. We have boat parking.